PICMET is pleased to offer the following short courses by experts in the field preceding the PICMET Conference. One CEU (Continuing Education Unit) will be awarded per day of attendance. When company officers understand the project management process, effective communication and decision-making accelerate within the organization. In this half-day executive style management seminar, attendees are introduced to a Project Management methodology and how improved project processes are linked to organizational strategic goals and performance. The seminar illustrates pragmatic techniques for getting more done with less across the organization, and how project management can be applied for more effective utilization of resources. Organizational Project Management is for managers and executives who focus on the responsibilities that come with directing project managers and managing teams involved in projects. Attendees learn to manage the on-going delivery of projects in the organization, how to manage a diverse team of operations managers and project managers together, and how portfolio and program management can help organizations deliver on strategic initiatives. The executive briefing in project management will give leaders a framework for prioritization and authorization of projects, and it will inform them about how to use projects to accomplish strategic goals and objectives. Attendees will evaluate and understand effective project organization structures, roles, and responsibilities of those involved in projects; and they will learn how to implement project management efficiently and effectively. Attendees will also gain an overview of PM tools and terminologies that can be put to work immediately in their organizations. Jeffrey S. Busch, PMP is a recognized authority on project management, scheduling and alternative dispute management with more than 30 years of experience covering consulting and training for various industries including design/construction, product development/manufacturing and semi-conductor/IT/software across the US and the globe. In 2003 he retired from a principal position at Pinnell-Busch, Inc., a leading project management firm that seeks out new ventures and challenges in project management. He provides independent consulting, is a senior consultant/trainer with Cadence Management Corporation, and teaches as an adjunct professor at Portland State University, USA. He has worked for such organizations as eBay, Starbucks, Boston Scientific, Network Appliance, Kimberly-Clarke, AT&T Federal Systems, CH2M Hill, Northwest Natural Gas, Boise, Freightliner, Tektronix, Nike, AMD, Polaris Industries, Tyson Foods, Rockwell Collins, Spansion, and Johnson & Johnson. As a practitioner he has facilitated consulting and training sessions for federal, state and local governments and more than 300 corporations in the US and abroad. He has served on committees with PMI Global Operations, including a 2006/07 role as a core team lead with PMI Standards for the development and publication of the Second Edition of the Construction Extension (2008) to the PMBOK Guide. This short course will offer a brief history of Silicon Valley and discuss some recent trends in Silicon Valley from an entrepreneurship perspective. It will examine the Silicon Valley innovation system, its elements and linkages, the global nature of Silicon Valley, and the role of immigrants. The session will also explore possible explanations for the Silicon Valley “phenomenon” and its transferability to other regions and environments. This presentation will offer insights to the audience on whether the Silicon Valley model of fostering entrepreneurship can be replicated in other contexts and the factors that would be necessary to enable replication. 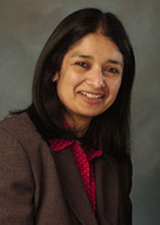 Dr. Anuradha Basu is director of the Silicon Valley Center for Entrepreneurship and professor in the Department of Organization & Management at San Jose State University (SJSU). She is also faculty advisor to the SJSU Entrepreneurial Society, which offers internship opportunities and shadow programs for SJSU students. Prior to joining SJSU in fall 2003, Dr. Basu was founder-director of the Centre for Entrepreneurship at the University of Reading’s Business School and a senior lecturer (associate professor) in the Department of Management. During 2002-03, she was a visiting scholar at the Center for Research on Economic Development and Policy Reform, Stanford University. She is an internationally recognized researcher in entrepreneurship and has studied topics such as business growth amongst immigrant entrepreneurs, culture and entrepreneurship, and family enterprise. Dr. Basu holds a PhD and an MPhil degree in Economics from King’s College, University of Cambridge, England; an MBA from the Indian Institute of Management, Calcutta, India; and a BA (Honours) degree in Economics from St. Stephens’ College, University of Delhi, India. This is a brief introduction course to social network analyses. It covers techniques about collecting, preparing, and analyzing social network data. Participants will learn to use PAJEK, a free network analysis software package. Sample data on innovation will be provided for participants to analyze. There will also be a brief review of research on innovation from a social network analysis perspective. 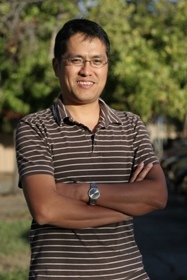 Dr. Chunlei Wang is an assistant professor in the College of Business at San Jose State University. He received his PhD in Sociology from Stanford University. His research interests include economic sociology, social network analyses, and innovation and technology. This session will provide a historical perspective on the concept and meaning of entrepreneurship and its evolution over time. It will discuss the characteristics, behavior, and functions of entrepreneurs. It will also shed light on the notion of “intrapreneurs,” the value of intrapreneurship within organizations, the obstacles to corporate entrepreneurialism, and some of the strategies for introducing these concepts into organizations. The economic significance of entrepreneurship and the nature of the entrepreneurial process will also be discussed. The course will explore strategies and provide case examples of how countries are using business incubation as both a way to advance the rate of innovation but to build a more globally integrated economy as well. Included in the course will be case examples of how entrepreneurs are exploiting a "Born Global" concept in building businesses around an Entrepreneur's Global Value Chain. Finally, the course will synthesize the need for global leadership capabilities as a vital underpinning of global business development and growth for young innovative companies. Dr. William Musgrave is on the College of Business faculty at San Jose José State University (SJSU) where he teaches courses in global entrepreneurship, management and organizational behavior, and strategic management. His research interests are in global entrepreneurship, leadership, team-based learning, and public sector change. Dr. Musgrave has developed a model, The Entrepreneur’s Global Value Chain, to explain transnational entrepreneurial linking behavior and to guide entrepreneurs in building “born global” strategies. Previously, he was the founding director of the Silicon Valley Center for Entrepreneurship at SJSU and also the president and CEO of The Enterprise Network (TEN) of Silicon Valley, an accelerator for startups and home of eBay. In his capacity at TEN, he also served as executive director of the NASA Ames Technology Commercialization Center in Mountain View, CA and helped Silicon Valley entrepreneurs commercialize NASA research. During his time at TEN, he established alliances and bridges to Silicon Valley to promote global entrepreneurship and economic development in Chile, Colombia, Mexico, Estonia, Israel, and Vietnam. Earlier in his career he was an executive in the electronics industry with DRS Technologies where he was engaged in corporate acquisitions, established the company’s Minneapolis Division, and led the acquisition and turnaround of an electronics factory in Bulgaria. With ESI International, he trained project managers in Fortune 100 companies in the U.S. and Europe. Earlier in his career, he was a Captain in the U.S. Navy where he managed large scale business and logistics operations. Dr. Musgrave earned both MBA and DBA degrees from The George Washington University in Washington, DC. He and his family live in San Jose, California. This short course will provide a detailed introduction to the concept of total system innovation management, which emphasizes both a total system perspective of the innovation management process and a rigorous and disciplined approach to the development of the individual key elements of the process. These key elements include creative idea generation, seeking and providing initial support, team formation and organization development, product or service development and marketing, external competition and cooperation, and ethical considerations. The six-hour short course will combine both lecture and group exercises. Dr. Oliver Yu, president of the STARS Group, a premier technology and resource strategy consulting firm spun off from SRI International (formerly Stanford Research Institute) in the year 2000, is an internationally recognized expert on technology innovation and resource strategy planning and analysis. He is also an executive in residence and director of the Silicon Valley Business Stars Program at the College of Business and an adjunct full professor on Technology Portfolio Planning and Management for the MBA-MSE (master of System Engineering) Dual Degree Program at San Jose State University in California as well as a consulting associate professor of Management Science and Engineering at Stanford University. 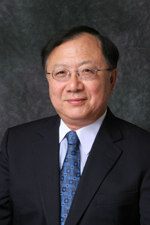 Prior to founding the STARS Group, Dr. Yu was director of energy and technology strategies at SRI from 1989-2000, where he built an energy and technology management consulting practice from scratch to over $3 million in annual revenues. In that position, he managed numerous large projects on technology and resource strategies throughout the world, including the US, Canada, the UK, France, Japan, Korea, China, Taiwan, and Hong Kong. He was a senior technical and strategy advisor to the vice chairman of Commonwealth Edison in Chicago, the chairman of Taiwan Power Company, the energy minister of China, and the president of the Philippines. Before joining SRI in 1989, Dr. Yu was for 15 years the manager of planning analysis at the Electric Power Research Institute (EPRI), responsible for energy industry analysis and EPRI-wide technology research planning.